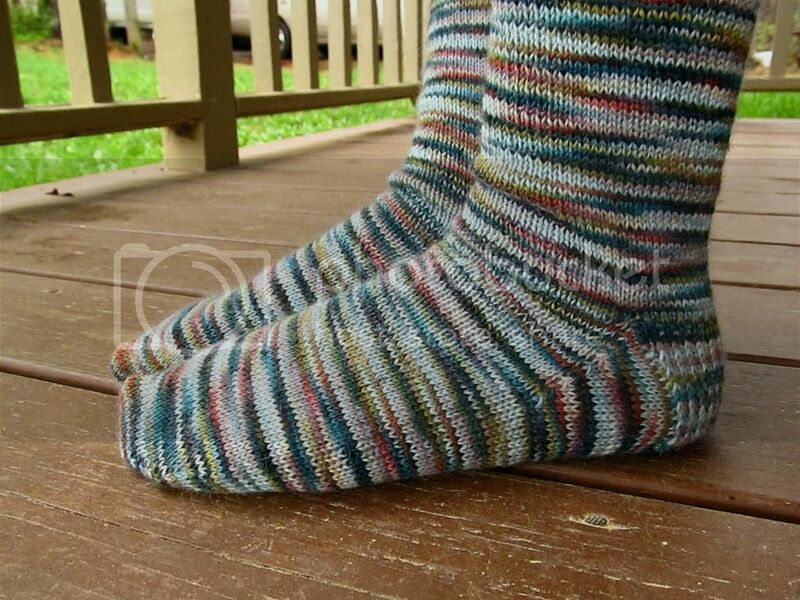 Wool and Wheel: Knitting: alpaca socks. Finally, a finished project! It seems like it's been a long time, and it has been two months since I shared one. These are plain vanilla socks, though I did make a few changes. 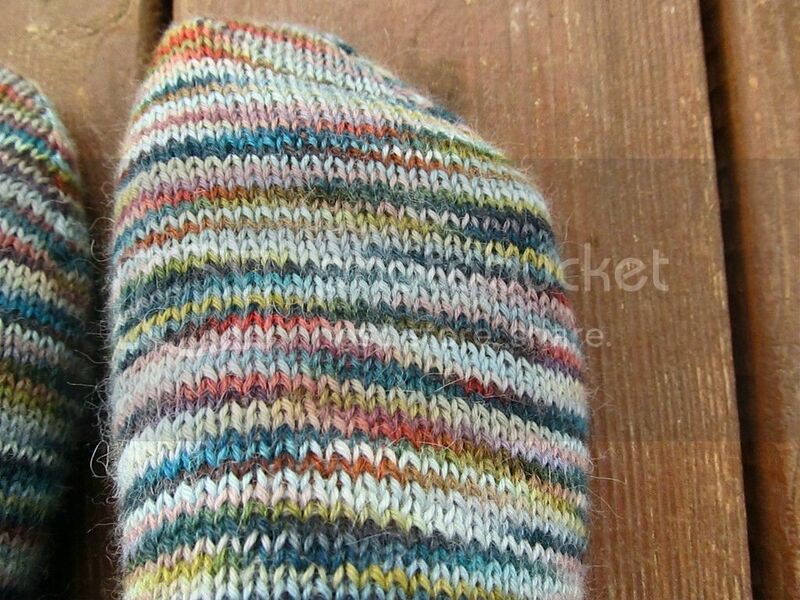 When I first started knitting, my tension was very tight, but over the last couple of years it's loosened a lot, which means that my most recently knitted socks are slightly baggy. I absolutely love the way this yarn knitted up. Variegated yarn is hit or miss, and I've always had problems with it pooling in ugly ways. But I'm so pleased with how these turned out! 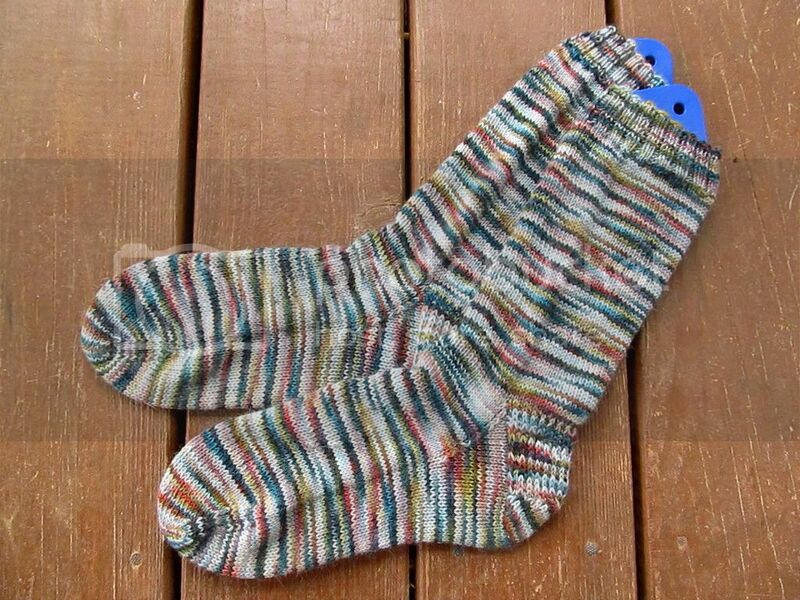 The yarn is Misti Alpaca Hand Paint sock yarn (Marino colorway), which is an alpaca, merino, nylon, and silk blend. I'd never used it before, and it seemed splitty at first, but I ended up loving it. It has a bit of a fuzz to it because it's 50% alpaca. As long as it wears well, I would definitely knit with this yarn again. I LOVE the way these turned out! 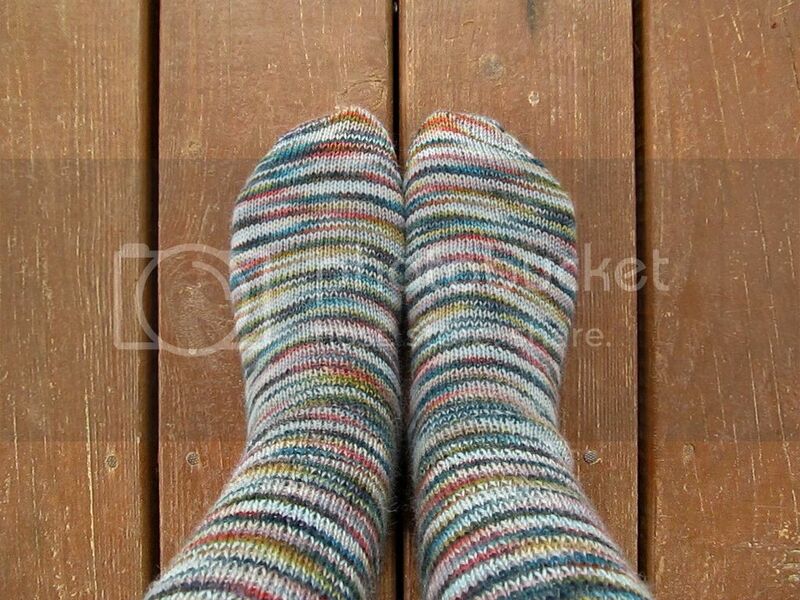 Those colors and the way the variegated yarn made the stripes is fabulous! Thanks, so do I! :) I wish more variegated yarn knitted up like this! These look beautiful and so soft! I love the halo alpaca yarn has.